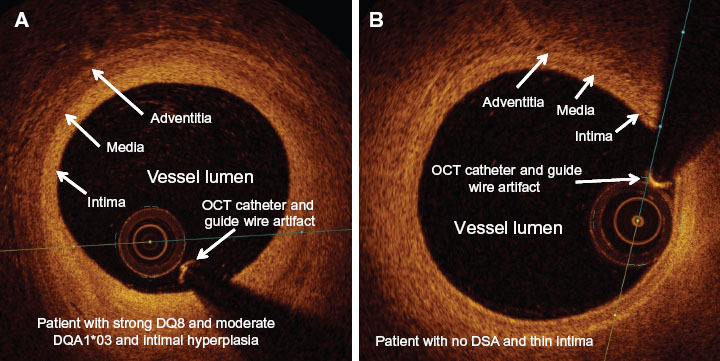 Optical Coherence Tomography (OCT) is a diagnostic procedure that is used during cardiac catheterization. Unlike ultrasound, which uses sound waves to produce an image of the blood vessels, OCT uses light. With OCT, doctors can obtain images of the blood vessels that are about the same as if they were looking under a microscope. 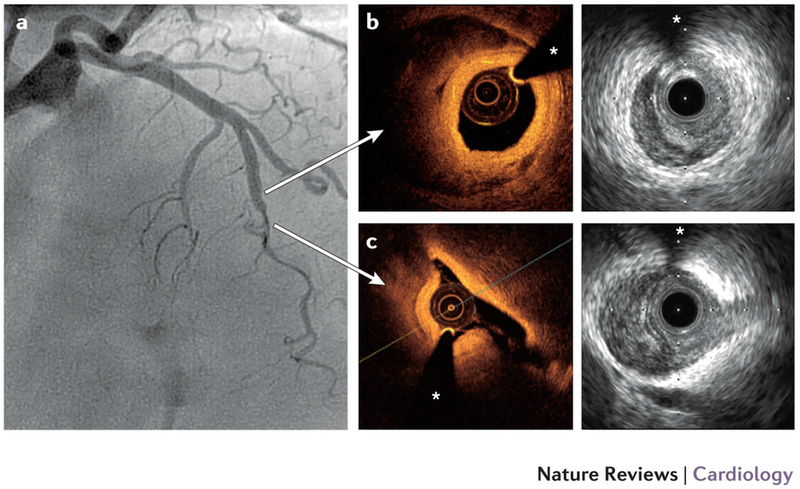 OCT uses near-infrared light to create images of the inside of the coronary arteries. The technique delivers very high-resolution images. A beam of light is directed at the artery, and some of the light reflects from inside the artery tissue and some of it scatters. This scattered light causes something called “glare.” Using OCT, the glare can be filtered out. Even the smallest amount of reflected light that is not scattered can be detected and used to form the image of the coronary artery. In fact, OCT allows cardiologists to see the inside of an artery in 10 times more detail than if they were using intravascular ultrasound.